As discussed in the earlier article about Chiuchow Christians and the Swatow lace industry, the industry traced its origins to American Baptist missionaries in the late 19th century – namely Lida Scott Ashmore and Sophia Norwood Lyall who taught Western needlework techniques to women in the Chiuchow region. Before World War I, the primary market for Swatow lace was Europe but the European conflict caused major disruption to the European market and as a result, the United States became the primary market for Swatow lace. 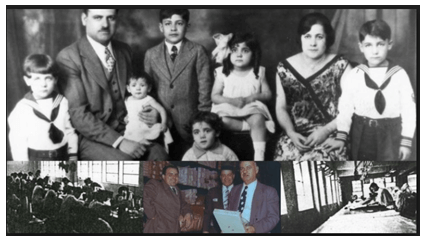 In the 1920s, a group of American businessmen of Syrian and Jewish descent came to dominate the business. In 1920, Mallouk Bros of New York (美樂洋行, founded by Salim Mallouk of Syrian descent) became the first foreign firm to formally establish a branch in Swatow. Major US department stores such as Marshall Field of Chicago sent buyers to China to procure Swatow lace. Between 1917 and 1949, the Swatow lace industry grew rapidly, employing an estimated 300,000 people in the region. The business model of the Swatow lace business is a classic case of regional advantages in an international supply chain. The chain began with raw materials such as linens from Ireland, threads from England, France and Japan and silk cloth known as pongee from Shandong province being procured from their places of origin, which were then shipped to Swatow for manufacturing using Italian needlework techniques, Swiss designs and the skilled and low cost labor of the region, and the finished products were exported via coastal ports such as HK and Shanghai to the United States where they were sold at high profit margin. Because of the abovementioned business model, many of these firms were headquartered in New York with branches in Swatow, Hong Kong, Shanghai and Chefoo (now Yantai). After 1949, these merchants and their Chinese partners moved to HK where the scope of their business evolved from Swatow lace to garment and knitwear. This article will focus on three of the most prominent American merchants – Alfred Kohlberg, Fred Maloof and Mamiye & Hidary. 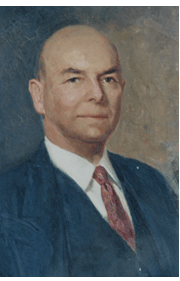 Alfred Kohlberg (1887-1960) was a leading figure in the Swatow lace business but it was his involvement in the US political realm as one of the biggest backers of McCarthyism and the China Lobby in the late 1940s and early 1950s he is best remembered for. Born in San Francisco, Kohlberg’s parents were Jewish immigrants from Germany. After graduation from the University of California in 1908, he moved to China in 1916 and quickly identified Swatow lace as a tremendous business opportunity. In 1921, he founded Alfred Kohlberg Inc. in New York, importing embroideries and linen from Swatow and carpets from Iran into the US. Branches were established in Swatow, Shanghai and Chefoo. To run his plant and operations in Swatow, he recruited a Presbyterian teacher by the name of T.K. Chang (張廷鑑,1884-1974). According to Kohlberg, his Swatow lace business in China was doing US$1.5 million a year before the Communists came to power in 1949. He then plowed his earnings from Swatow into Manhattan real estate, compounding his wealth. He was also a big supporter of the American Bureau for Medical Aid to China (ABMAC) and served as its director and chairman. In October 1941, the Federal Trade Commission charged Kohlberg of selling Swatow lace with European sounding names such as Tuscany, Binche, and Cluny, thus misleading buyers that they were European made. In defense, Kohlberg asserted that his naming approach was simply based on style similar to Swiss cheese and wonder why the government did not go after dairy producers in Wisconsin, the source of majority of Swiss cheese in America. After the FTC case, Kohlberg became politically active, leaning to the right as he believed that the Democratic administration at the time was out to get him. 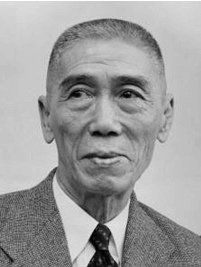 He was also a staunch supporter of the Chiang Kai-shek regime in China (and later in Taiwan), forming the American China Policy Association and became one of the chief financial supporters of what became known as the China Lobby. In 1943, stories about corruption in the KMT regime in China kept appearing in the American press so Kohlberg decided to fly to Chungking to investigate. His conclusion was the rumors were started by left wing members of the Institute of Pacific Relations which he was a member of. Kohlberg’s political activities intensified in the late 1940s as the KMT lost to the Communists in China and he was directly involved in the founding of several anti-Communist organizations such as the American Jewish League Against Communism and the ultra-right wing group John Birch Society. He launched a conservative publication Plain Talk and backed Bill Buckley to launch National Review. He singled out magazine editor Prof. Owen Lattimore and diplomat Philip Jessup as Communist spies and supplied information he gathered on the two to Senator Joseph McCarthy. In June 1955, Kohlberg suffered two heart attacks after the US government blocked the sale of 369,000 handkerchiefs (worth over US$90000) he had sitting in a New York warehouse. According to Kohlberg, the handkerchiefs were all made in HK from linens he acquired from Ireland and the manufacturing was handled by his agent in HK – T.K.’s son Henry Chang (張似源) who was a graduate of Amoy University and father of Henry Chang Jr, architect and vice-mayor of Oakland, California. The US government, however, thought otherwise as a large number of Swatow lace in the market were still manufactured in the mainland. Soon after, Kohlberg decided to close his business but remained active politically. The guests in his last birthday party in 1960 included the future Federal Reserve chairman Alan Greenspan and the famous right wing writers Ayn Rand and William F. Buckley. His widow Ida Jolles (1898-1969), who was a major player in the Austrian needlepoint industry before marrying Kohlberg in 1956, continued to support the many Chinese causes after his death. Kohlberg comprador T.K. Chang was a pioneer of the garment industry in HK through Yue Tai Textile (裕泰紡織廠) and Yue Shing Knitting Factory (裕成織浩廠) at 281-283 Castle Peak Road, which he founded in 1953 to manufacture gloves. Yue Shing was incorporated in 1955 with HK$500,000 in registered capital and dissolved in 1969. Fred Maloof was one of the three biggest Swatow lace firms and its eponymous founder was formerly the Swatow branch manager of Georges Bros of New York. In 1938, he struck out on his own by forming Fred Maloof Co, setting up his office and warehouse at the waterfront Kialat Road (崎碌路) in Swatow with branches in Shanghai and HK. His comprador was William Tai (戴天縱, 1905-1978), a native of Chao-an whose father allegedly earned a doctorate from the US and was himself educated at a Presbyterian school in Swatow. Like TK Chang of Kohlberg, Tai was closely involved with the Church. In 1941, the Japanese occupied Shanghai and Hong Kong, and according to Maloof’s claim to the IRS after the War, his total losses amount to over US$446000, which included his inventories at the Holt’s Wharf and Kowloon Wharf in HK and 35 boxes of textile in Shanghai. After the War, Maloof registered Fred Maloof Limited in HK in 1946 with office located at the top floor of the Tai Ping Building at 16 Queen’s Road Central (now New World Tower). He also opened a knitwear factory by the name of Fortuna Co. Ltd and in 1969 invested HK$720,000 to register Frederick Trading Co Ltd, which acquired cotton, silk and synthetic fiber to produce a variety of garment products in HK for exports to the US. While the businesses of Kohlberg and Maloof no longer exist, two Jewish American families (Mamiye and Hidary) involved in the Swatow lace trade remains major players in the garment industry in America and HK. The patriarch of the two families – Max Hidary and Charles Mamiye established Mamiye & Hidary in old Shanghai with branch and factories in Swatow. After the War, the two families split up and moved to New York where Charles Mamiye’s son Jack C. Mamiye,1925-2005) founded Mamiye Brothers in 1947 with his siblings while Max Hidary and his nephew Moe Hidary (died in 1988) founded M. Hidary & Co in 1948. The success of Mamiye could be attributed to three factors. First, the firm’s focus on kid’s clothings, which benefited significantly from the post War Baby Boom. Second, the firm leverages the power of media brands, licensing from Disney, Time Warner, Mattel and NBC and making clothes based on cartoon characters such as Mickey Mouse or TV personalities such as the Olsen twins. Thirdly, low cost offshore manufacturing where the family leverages its decades of connections in the Far East. In 1957, the Mamiyes formed Sterling Products (英聯製衣) with Beatrice Chen Ping-Tsung, whose husband’s family was in the Swatow lace business. By 1973, the Mamiyes had a factory in HK which employed over 500 workers which also manufactured jeans (under the Blue Tiger Denim Jeans brand) in addition to kids’ clothings. Under the leadership of Beatrice’s eldest son, a British trained doctor Kenneth KK Wang (王克繼, 1947-2010), Sterling expanded significantly and built factories in Singapore, Malaysia, the Philippines, Myanmar, El Salvador and Mexico. The partnerships between the Mamiyes and the Wangs extended to the next generations as Jack was succeeded by his son Charles D. Mamiye and Kenneth by his children. As for M.Hidary, initially It only imported from the Far East but finally established its branch office in Hong Kong in the 1980s. Jack Hidary, a grandson of Max, was a founder of the IT website Earthweb, which went public during the dotcom bubble, later renamed Dice and sold to private equity firms for US$200 million. The Hidary Group is now a diversified group, which sold the consulting firm Vista Research to S&P and acquired Primary Insight from Morgan Stanley. In 2007, the group acquired the famous fashion brand Everlast for US$146 million. This article was first posted on 3rd November 2017.